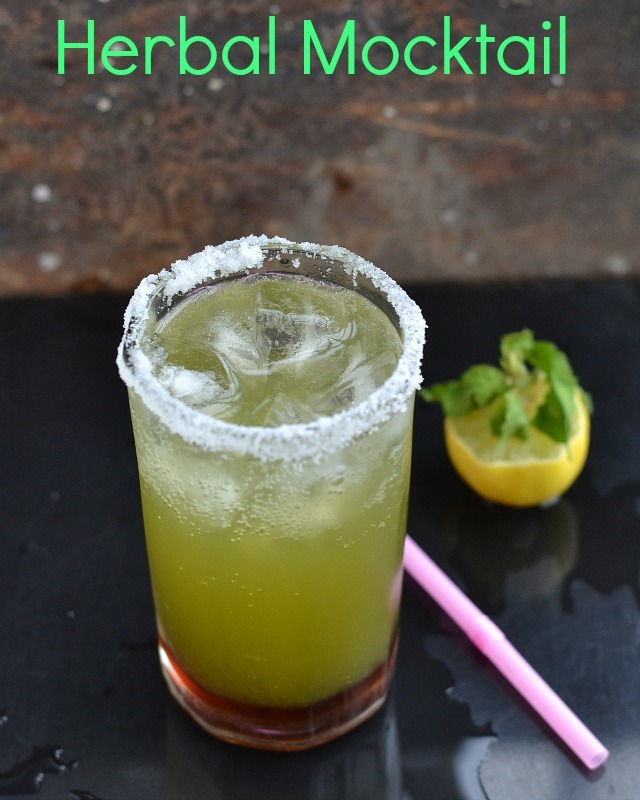 This Herb Mocktail has all the goodness of the locally available herbs around your home and is perfect for the Monsoon or rainy season. 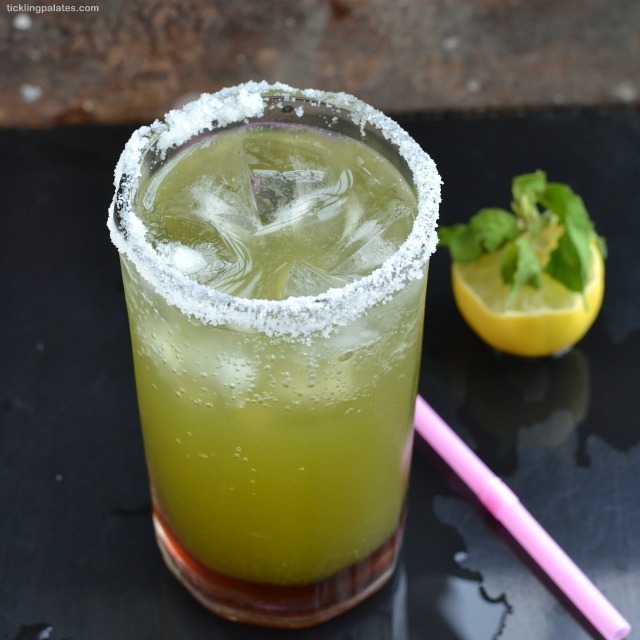 This drink will take care of any digestive problems that you may have and also any feeling of flatulence that you may feel after a heavy meal. 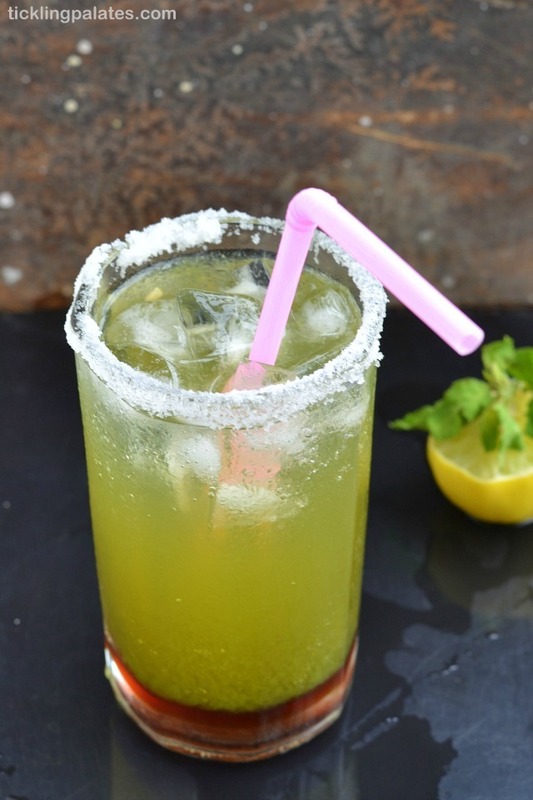 It acts as a natural body cleanser and nourishes your body from within. So it is also better to have it at least once a week. I have used all edible leaves that we normally eat to treat cold at home. 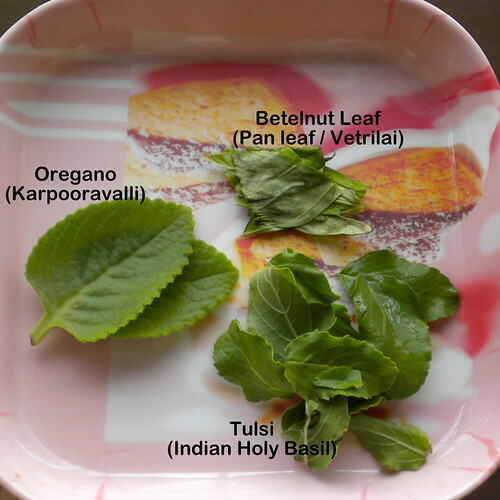 The betel nut leaf that is known as Pan leaf in North India and as Vetrillai in South India, Oregano that is also called as “Karpooravalli” and the Indian holy basil leaves aka Tulsi. All these leaves are natural mouth fresheners and can be easily grown in your own backyard. 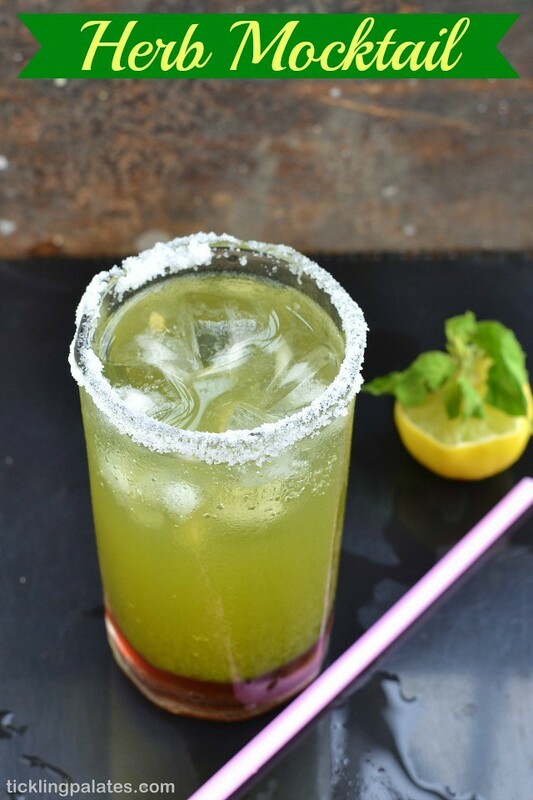 Usually during my childhood as we had a terrace garden at home, mom used to make a kashayam featuring all these leaves i have mentioned above and I really hated it so much to drink that as it was very much pungent and bitter. 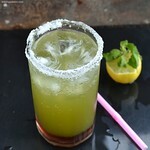 This mocktail is just an adaptation of the kashayam, to make it more fun for the kids to drink as well. You can leave out any leaf according to availability. You can also add chaat masala powder before serving.